Best Security is proud to be the only authorized Honeywell Lyric dealer in the Okanagan. This incredible family of advanced products seamlessly integrates with your life and home. The Lyric system takes the smart home to a whole new level with a family of products that offer water leak detection, heating and cooling control, and home security. With the Lyric app, you can remotely control and monitor your home no matter where you are. Thanks to the app’s geofencing technology, your system will even know whether you are home or away, making adjustments and updating settings accordingly. With Honeywell’s Lyric system your comfort, safety, and security are in your hands. Featuring a round, polished glass face, motion-sense illumination, and a simple touchscreen, the Lyric Round WiFi Thermostat isn’t just practical – it’s also incredibly stylish. 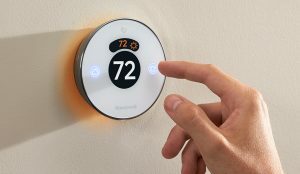 The Lyric Round thermostat is designed for your busy life and your family’s hectic schedules. 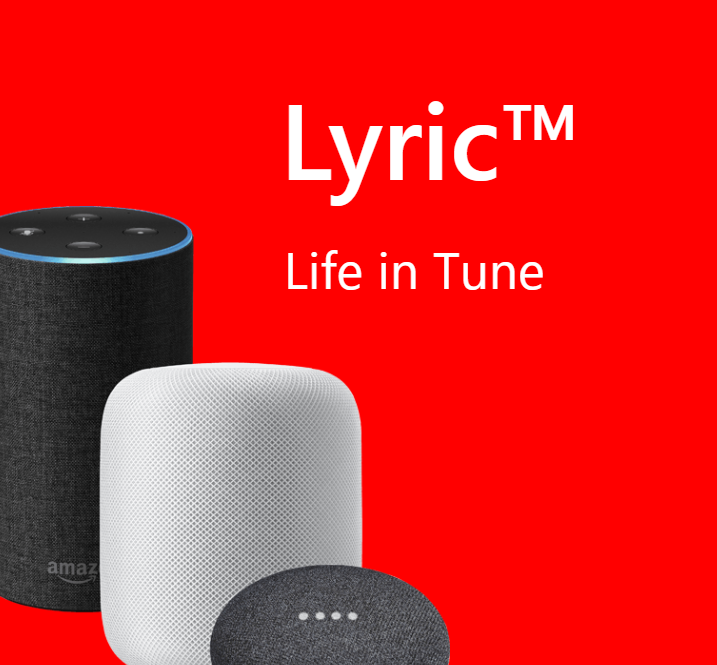 Using your Honeywell Lyric app you can control the Lyric Round from anywhere or just let it learn your schedule and adapt to your life. With the Lyric Round, you won’t waste energy while you’re away and you’ll never come home to a cold house again. Welcome to the future! Lyric uses your smartphone’s location to make adjustments to your home and energy usage. On vacation or off to see your family in Vancouver? You probably don’t need the heating on in the house. At the grocery store around the corner, on your way home? Looks like it’s time to start warming up the house! If the humidity changes or if the temperature in your home is too high or too low, Lyric will send a notification to your phone to let you know. Your home comfort is more than a number on the thermostat, especially in winter. With intelligent control, the Lyric Round takes into account the humidity and outside temperature to make sure that your home feels just the way you like it. The new Lyric T6 Pro WiFi offers simple functionality and smart features that you will love. Program your thermostats based on your schedule or let it adapt to your schedule as plans change. Thanks to the mobile app, you can control the Lyric T6 Pro WiFi from anywhere, making updated and ensuring home comfort and money savings on your energy bills. Contact Best Security for more information today! Function and form collide with Honeywell’s Lyric T5 WiFi Thermostat. 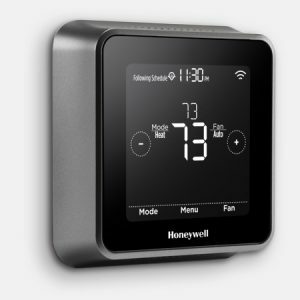 As part of the Honeywell Lyric family of products, the Lyric T5 Thermostat can be programmed based on your schedule or left to adapt to your lifestyle thanks to geofencing technology. Adaptive recovery allows the Lyric T5 Thermostat to learn how long it takes to achieve the desired temperature at the right time and automatically adjusts to ensure your comfort. Receive push notifications for filter changes and extreme temperature warnings. With the Lyric Water Leak and Freeze Detector, you will get notifications straight to your smartphone if a leak is detected or if the temperature drops below your set limit. By helping you catch leaks and freezes early, you may be able to avoid costly repairs and the loss of treasured items. Best Security’s team of home security experts will work with you to place the environmental sensors near potential trouble spots like the sump pump, water heater, washing machine, and under sinks. Each sensor can be individually labeled and added into your Lyric App, allowing you to see at a glance where potential problems may be. With the sensors connected to your home WiFi network, you will be alerted in the event that a leak is detected or a pipe is beginning to freeze.